Felt flower corsage ” Purple Glimmer”. Hand made, one off felt flower in imperial purple merino wool fibres embellished with angelina fibres which glimmer wonderfully in the light. Simply decorated with with a burnt orange and filigree gold bead. 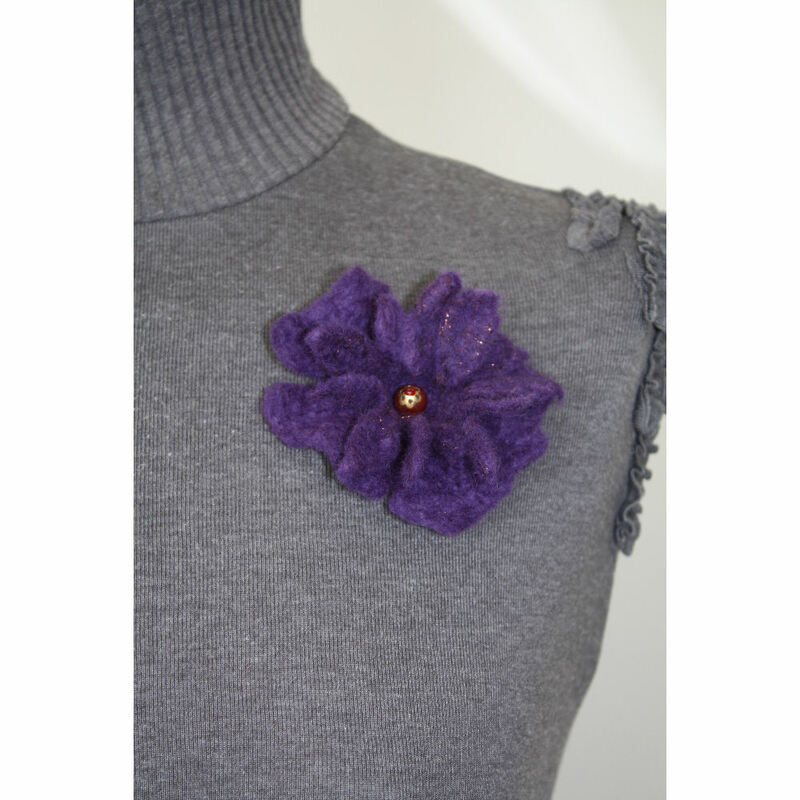 A beautifully simple and stylish flower brooch in one of this seasons hottest colours. 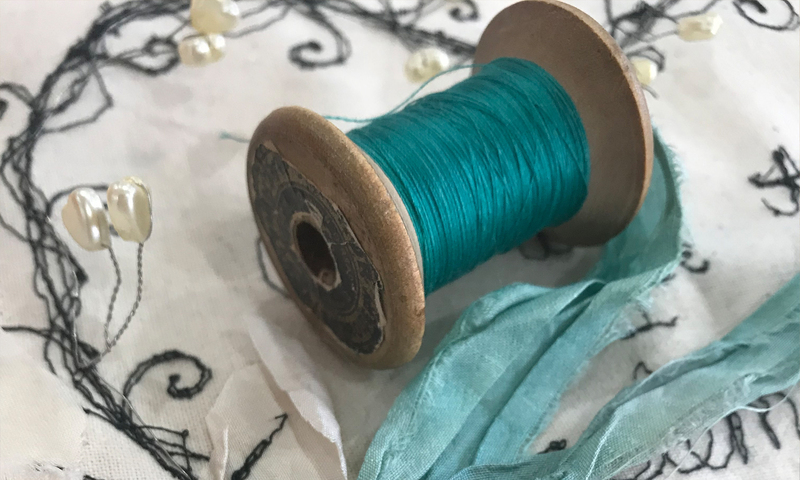 A metal brooch clasp is sewn to the reverse of the flower to allow you to securely attach it to the garment of your choice. Approximate size – 9cms across. Product code – FC ND PG 092011.